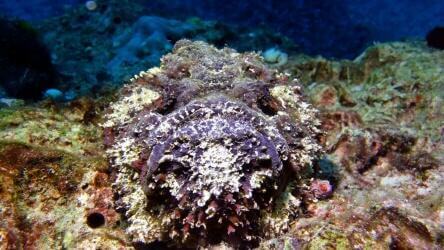 Choosing a beach resort for your stay in Phuket has got more and more difficult over the last few years. Great restaurants, bars and hotels have started springing up all over the island. Taking away the necessity to stay in the traditional party town of Patong. As Patong gets more crowded and remains fairly one dimensional, tourists have begun to look at alternatives. Still the busiest place in Phuket and the number one choice for the party crowd. It’s trying to lose its sleazy reputation and to a certain extent it has. Top class DJ’s play in some of the very good clubs and live bands are always playing somewhere on the Bangla Rd strip. The gogo bars that gave Patong its kick start in life are not as prominent as they used to be. The younger crowd with more emphasis on having a fun night out in a relaxed party atmosphere are taking over. The long line of Phuket governors have tried turning Patong into a more family orientated resort and they’ve enjoyed little success. Bangla Rd is full every night with tourists just wandering up and down taking in the sight and sounds. The bars aren’t quite as full as they used to be but this is more of a change to the tourist demographic rather than a toning down of the party scene. It still remains the go to place in Phuket but maybe you should try some other parts of the island that have far better beaches. We do have a small sales office on the beach road – you can find directions and more information here. Just over the hill from Patong but feels like a million miles away if you judge distance by taxi fares… Karon has a very long and quite beautiful beach, you can always find a more private spot easier than you can on most of the other beaches in the area – a combination of a big beach and not quite so busy resort. It’s certainly not a party town but still has plenty of choices when it comes to restaurant, bars and hotels. Fitness fans will enjoy Karon. It’s one of the few places on the island that you can go for a jog without the risk of being mowed down by the maniacs on the road. There’s actually a long and pothole free sidewalk that stretches along the beach – a rare commodity in Phuket. A small lake at the North end of the resort also has a nice path to jog around. An annual international beach volleyball festival is held every March and the courts are left in place throughout the year. The South end of Karon slowly metamorphoses into Kata, you won’t see the transition but somehow you will just know. The South end of Kata is the most popular and where the majority of the entertainment is. The beach is really nice, although it is popular and will definitely be more crowded than Karon. A roped of area at the North end offers some decent snorkelling and you’ll even see a steady stream of scuba divers coming in and out of the water. Surfing is popular all year around. If there’s no surf on the ocean then you can walk across the beach to the very popular Surf House that has an artificial surfy thing (hard to describe), very popular with the kids and for people who are scared of fish. We’re getting a little but not too far off piste now. Rawai and Nai Harn are two more resorts that have a mysterious undefined border (would probably explain why my post seldom arrives). They both definitely have more of a village feel than any of the other aforementioned resorts. Rawai beach is not somewhere you’re going to lay out all day catching rays, it’s more of a working beach. The combination of a close main road and longtail boats coming and going all day doesn’t make it the ideal place for a relaxing afternoon. Tt low tide the ocean can just about be made out on the distant horizon and at high tide it leaves a strip of sand about a belt width across. At night it’s a different affair. The seafood restaurants that are strung along the sea front are very popular with both locals and expats. Locals from Phuket Town travel down at the weekends to enjoy the great food and fresh sea breeze. A number of small boutique restaurants have recently opened up giving you plenty of culinary options, there’s great Japanese, European and burger restaurants to choose from as well as a decent splattering of drinking holes. 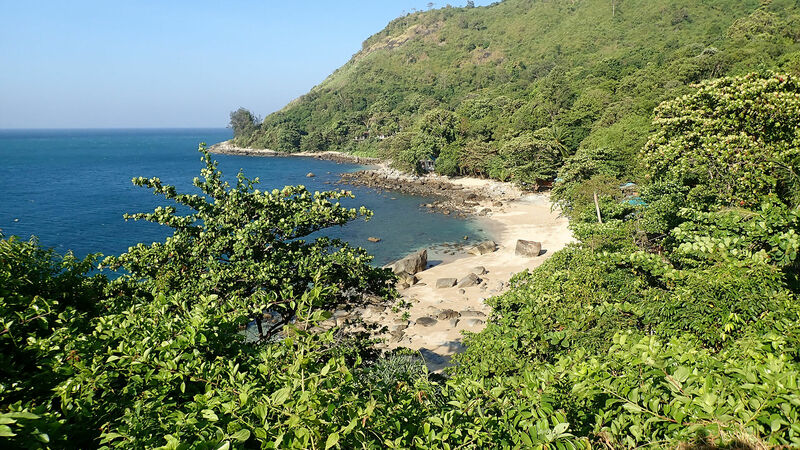 Nai Harn and its two satellite beaches (Ao Sane and Yanui) are among the best on the island and worth a visit no matter where you’re staying. There’s not many accommodation choices within walking distance of the beaches but the relatively low traffic density on the roads make it an ideal area to hire a scooter. Again the restaurant choices are wide and varied, there’s excellent Italian, French, Mexican and of course Thai. The Green Tamarind is worthy of a mention on it’s own, if you need a comfort food fix and fancy a burger then this is the best place on the island to satisfy that craving. Kamala is the furthest North of the resorts that we pick up from free of charge. This laid back beach resort is probably better suited to tourists who’re after a completely relaxing holiday away from the boisterous crowds. 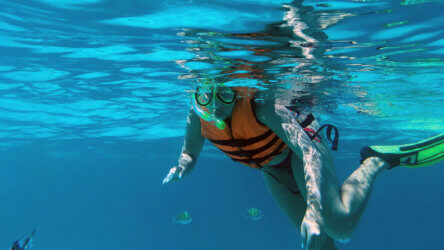 It’s close to one of the most popular but in my opinion most bizarre attractions on the island – Phuket Fantasea. In pretty much closes down in low season (June – October) so not the place for philanthropists at that time of year, of course if other people annoy you then this is the spot for you. Phuket Town has got more and more popular over the last few years. The islands governors have made efforts to make it more user friendly but until they change the completely confusing and irrational one way traffic system you really don’t want to be self driving around Phuket Town, it could take you days to decipher your route and get out. However it’s just about the only location on the island that cheap readily available public transport is at hand. 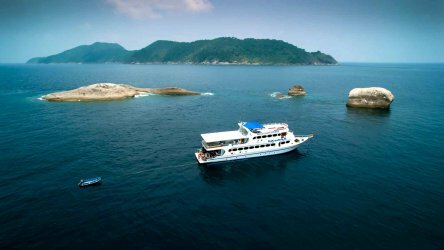 If you’ve booked into a hotel at these resorts and then plan some day trip diving you’re probably going to regret it, you couldn’t of got further away from the boat departure point if you tried. It’s at least an hours journey in a taxi and will set you back THB 1,800 – almost half the cost of the day trip itself. 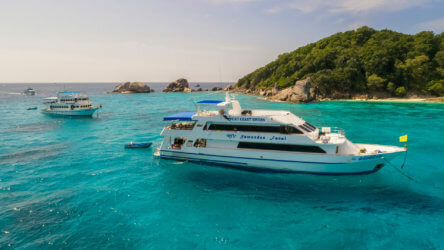 On the other hand if you’re going on a Similan Island liveaboard then it’s a pretty decent choice, you’ll be the last to be picked up and first to be dropped off. 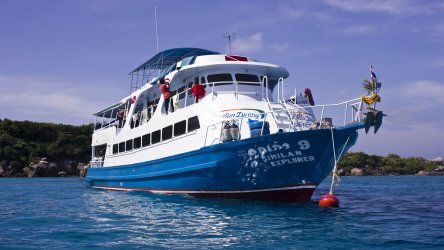 It’s just over an hour journey from where most of the liveaboards depart. Posted in Phuket Sights & Fun on December 21, 2017 .